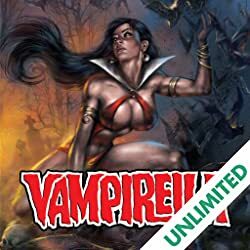 Dynamite is pleased to present the collected work of Grant Morrison and Mark Millar's incredible run on Vampirella. 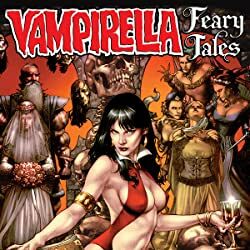 Over a decade ago two of the comic industry's most prolific writers of today, joined together to craft what some consider Vampirella's finest run in her long history. Joining these two legendary creators are today's other top talents such as Amanda Conner, Jimmy Palmiotti, Brian Haberlin, Michael Bair, Kevin Nowlan and more. 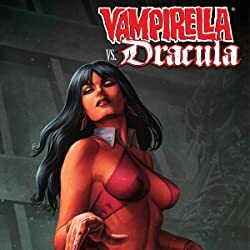 This edition collects "Ascending Evil" from Vampirella Monthly #1-3, "Holy War" from Vampirella Monthly #4-6, "Blood Red Game" from the Vampirella 25th Anniversary Special and "Cold Day In Hell" from Vampirella Strikes #6. This edition also collects interviews with Morrison/Millar and Amanda Conner and Jimmy Palmiotti. It all began right here for these creators and now it's collected for you in this beautiful trade paperback edition featuring a stunning cover by Jae Lee (Dark Tower).